With our last house I had such a hard time picking tiles, I just didn't understand which tiles went on the floor and the same for the walls. Looking back I got the main bathroom sooo wrong and our ensuite was pretty close to what people are still picking today. It had bits of stone like mosaics, which are still popular today and it did age really well, main bathroom not so much. 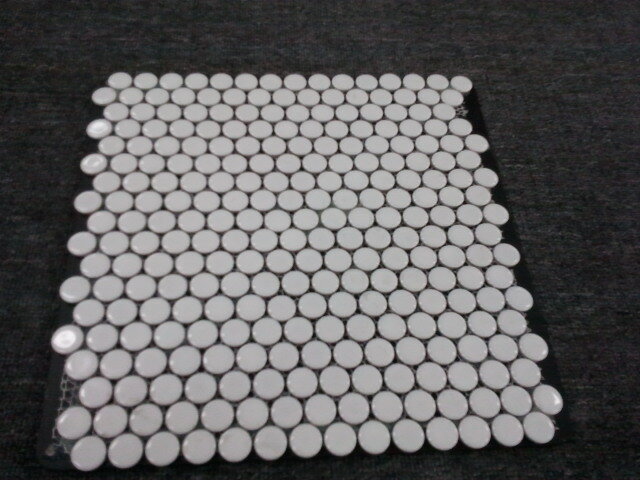 This time I want simple and classic, no strips of mosaics, it's just not for me. 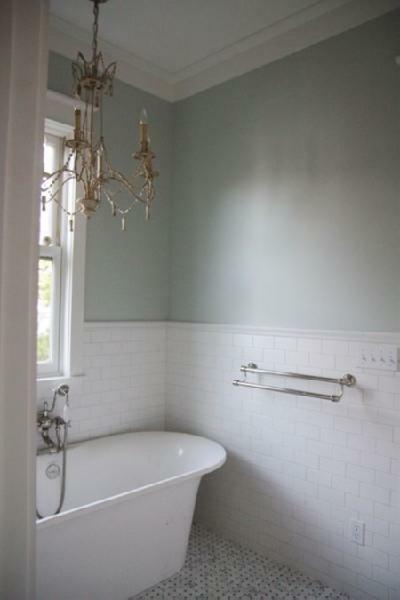 I have looked at enough images now to know that I repeatedly like bathrooms that are mostly white with grey, so no dark tiles for me on the walls either just white. These are some of the images I love. We had been down to view M's tile studio and on our last visit had decided on our wall and floor tile with no features so for our appointment I felt it was going to be straight forward. We were lucky enough to have the same sales lady for our appointment that we had talked to previously, she was great. 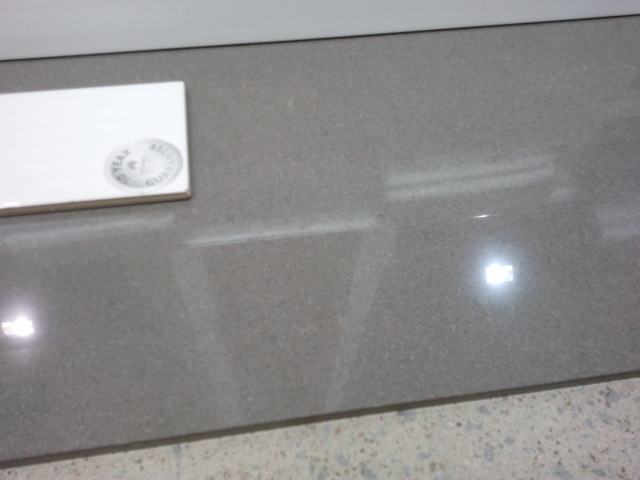 I had picked out a 600x600 cararra marble look like in porcelain, it was drop dead gorgeous. Then she went off to get something to start filling out the details of our choices and came back and told me that she just realised that M don't do 600x600 in the shower areas as it is hard to get the fall right for drainage. Broke my heart it did. I didn't want different tiles in the showers as they are only small areas and I didn't think it would look any good, I like simple. I have since read that while many people do use these tiles in showers, it does require a lot of cuts and can be tricky to get the fall right. So we had to pick another floor tile. I am still really happy with my choice and it will be easy to keep clean too. So we went with a darkish grey on the floors for all wet areas and powder room with a matching grout in a 600x300 size. For the walls we went with a rectified white gloss ceramic as the whitest porcelain was too creamy. This will go on all walls except in the powder room. This is also 600x300. colours a little off - phone pics Floor tile, wall tile and subway tile. closer shot of floor tile with subway tile. On one wall of the main bathroom behind the freestanding bath will be all white subway tiles and on the main shower wall in our ensuite will also be subway tiles. These are 200x100. In the powder room we will be having something a little different but still in white. 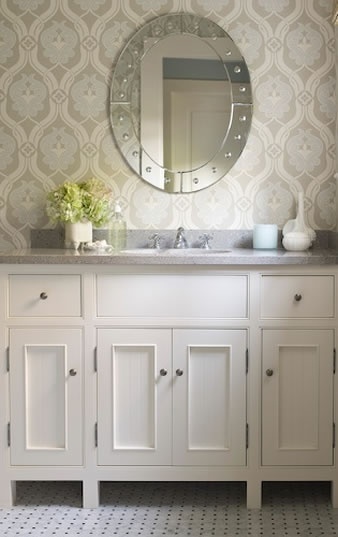 The back wall with the vanity on it will have white round penny tiles. These were similar to the ones Danni and Dan used on the block. I couldn't get that bathroom out of my head and I'm so happy we are having them too. It's different but still nice and simple white. When done they should look like this. While I'm aiming for a classic type of bathroom, I am working with what is available with our project builder...so we have kept all of the bathroom fixtures provided by M in their designer range. This means they will have a much more modern look to those above and obviously the grey floor tile is quite modern but with the touch of Subway tiling there is also still some classic touches...it is a mish mash of styles but I think it will work well. A little old a little new. In case you still need it, one way you can identify a wall tile from a floor tile is by the texture. Normally, wall tiles have smoother surfaces, particularly when wet. Floor tiles, on the other hand, are more textured to keep them safe for walking. 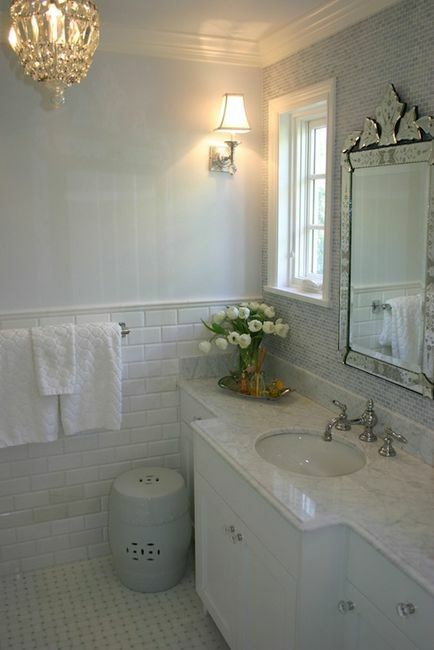 In any case, I love what you’ve picked, especially the circular tiles! Hi Michelle, I am so sorry for this late reply, my inbox is full of spam and it got lost amongst it. M use National Tiles for their tiles here in Queensland and they can be found through them. 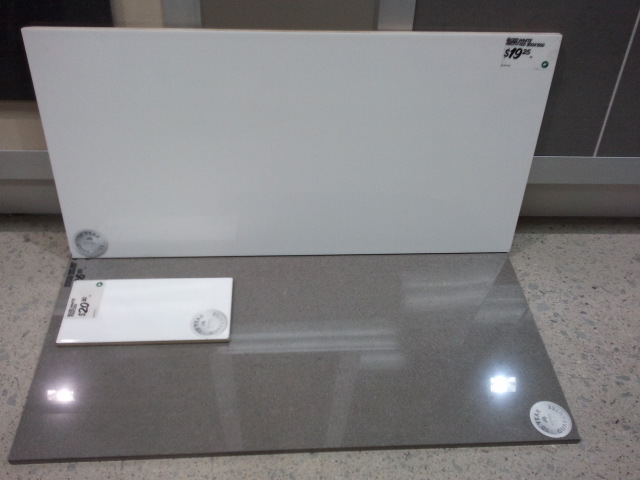 The stock code for the tile that I have is MAXFL1055 and it is called Stratos Dark Grey Polished 300x600. I'm sorry if this info is too late. Your house is looking aaaahmazing. This looks fantastic! 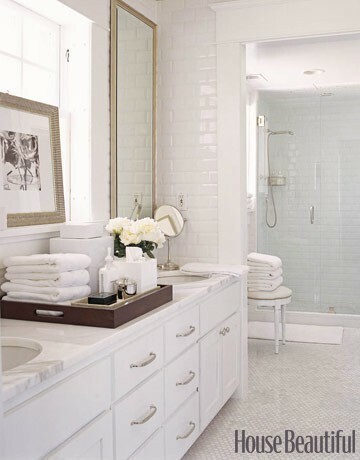 I love the simple and classic subway tiles, you can't go wrong with those babies! ceramic tiles and different type of tiles like Full body glazed vitrified tiles,Large format tiles, Glazed vitrified tiles with high elegance full body design tiles for both indoor and outdoor.